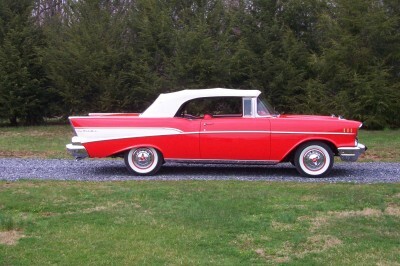 The ’57 Chevy is one of the most recognized icons in the Automotive industry. Stylish and Sporty there’s no doubt that it’s one of America’s best and most loved cars. Under the hood Chevrolet had achieved an engineering milestone, Ed Cole worked magic developing Chevy’s small-block V8 engine. Once you test drive this car, you’ll be sure to own it.